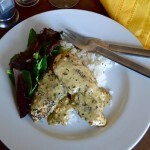 Mustard Cream Chicken Sauté reminds me of something Julia would have made. 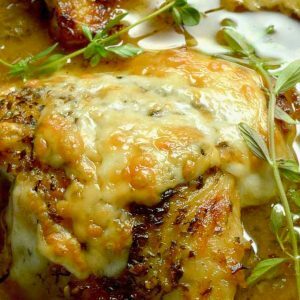 A moist tender chicken breast browned with a few simple things; then deglazing the pan with the secret ingredient, while scraping up all the bits of deliciousness to give a very flavorful base for the addition of mustard and cream. While I’d normally use wine when making a sauce for chicken I wanted something a little less a tang/acidic. With the addition of mustard it already had an acidic flavor in it. 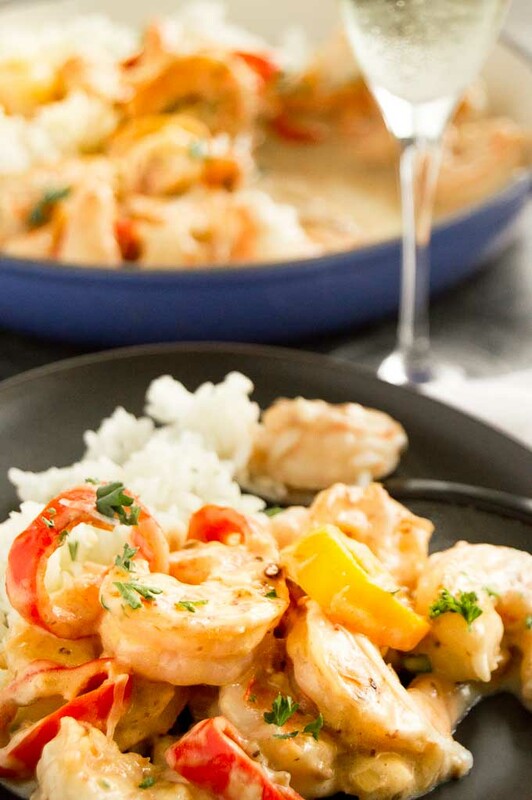 By using Pernod you add a slight licorice/anise flavor to the sauce. It’s not really in your face strong, but just hints of it. 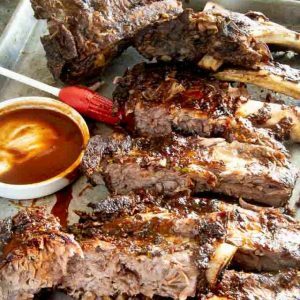 And wow, it may be subtle, but it adds a great depth of flavor that really elevates the dish. I tried this dish with half & half and heavy cream but in the end felt the heavy cream gave better results. The half & half produces a sauce that was just a little too thin. This dish works great over rice, which is how I have it pictured but it would work equally well with pasta, creamed cauliflower or mashed potatoes. I offer it to you as part of my 2-fer series where you prepare one major meal then have a second way to serve a part of it for a completely different flavor profile. I make my chicken salad with the addition of dried cranberries and a handful of chopped nuts. I prefer walnuts, but you can use pecans, pistachios or even sunflower seeds too. It’s not your average chicken salad for sandwiches…. Its much more filling! Buy a really nice flavorful loaf of bread that you can slice just before serving for this amped up chicken salad—it’s worthy of it! More Comfort Food Meal Ideas! Cut each chicken breast in half and then pound 1/2" thickness maintaining consistent thickness for the chicken piece to allow for even cooking. In a small bowl place salt, pepper and tarragon and blend evenly. 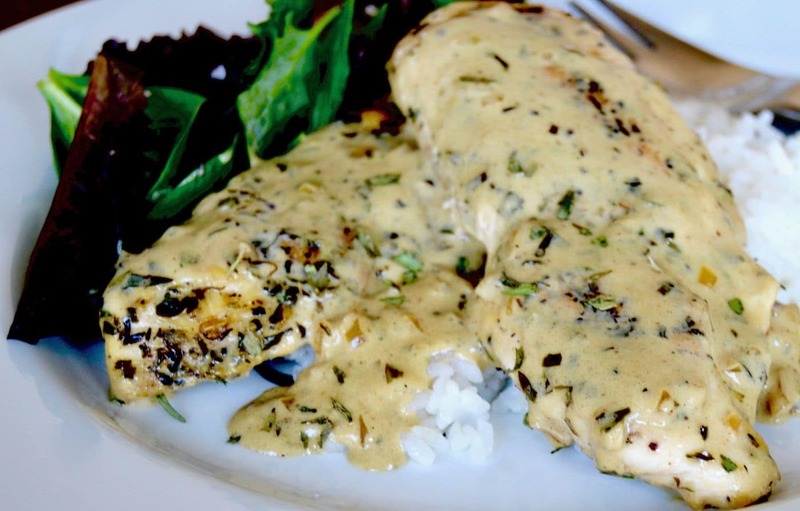 Sprinkle spice blend evenly and press into each side of chicken breasts. Heat a saute pan to high, then add 1 tablespoon olive oil to pan and swirl to cover entire bottom of pan. Place chicken breasts in the hot pan with plenty of room in between each breast to allow for even cooking. Reduce heat to medium high to prevent excessive browning. Cook in batches being careful to not overcrowd the pan. Cook chicken for 5-6 minutes per side, testing to make sure when you are done cooking that juices run clear and chicken is no longer pink when you cut in center with a knife. Place chicken breasts on a plate and cover with foil and repeat until all breasts are cooked. Add minced garlic to pan and cook for one additional minute. Add Pernod to pan. Using a wooden spoon/spatula to scrape up all of the browned bits on the bottom of the pan from the browning of the chicken. Continue to stir until liquid is reduced down to half. Then and mustard and blend completely. While stirring, slowly pour heavy cream in to pan allowing mixture to combine and thicken up slightly about 3-5 minutes. Taste sauce at this point and season with salt and pepper to your preference. Add chicken back into pan making sure to incorporate into the sauce any juices left on the plate they were resting on. Let chicken reheat through for a few minutes. Serve chicken breasts over rice*(See note 2) spooning some additional sauce over the top. 1. This recipe is for one meal only. If you are making this chicken for a 2-fer meal the next day (chicken salad sandwich) saute and additional 1/2 lb of chicken breasts. Prepare breasts up until step 6 and set those portions aside to cool. Once completely cooled store in an airtight container until the next day when you are making the chicken salad. 2. 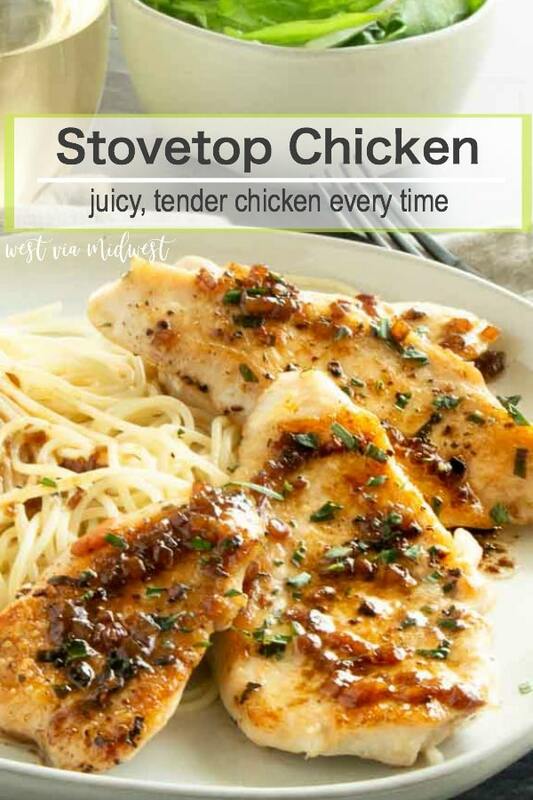 This chicken also works well over mashed potatoes, pasta noodles(I prefer linguini) and creamed cauliflower. This looks delicious, my entire family would love it! Great dish! Pinned to try it! I bet that sauce is SO flavorful! Yum, yum, yum! 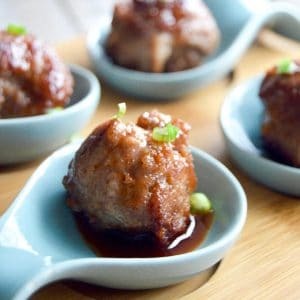 This is super similar to one of my very favorite dishes. I may need to try the lightened up version! The French have certainly figured out how to make gourmet meals that are easy. This sounds perfectly in line with that. Easy enough for a weeknight but special enough for a special occasion. ooo that pan of delicious chicken is so tempting right now! I love all of the flavours in this! 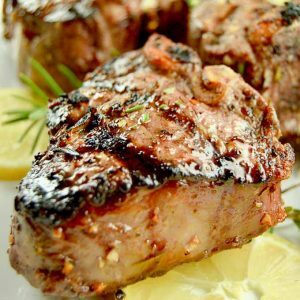 I just made pork chops with a mustard sauce and it’s my new favorite thing – I love that you added Pernod to yours. I bet it tastes amazing! 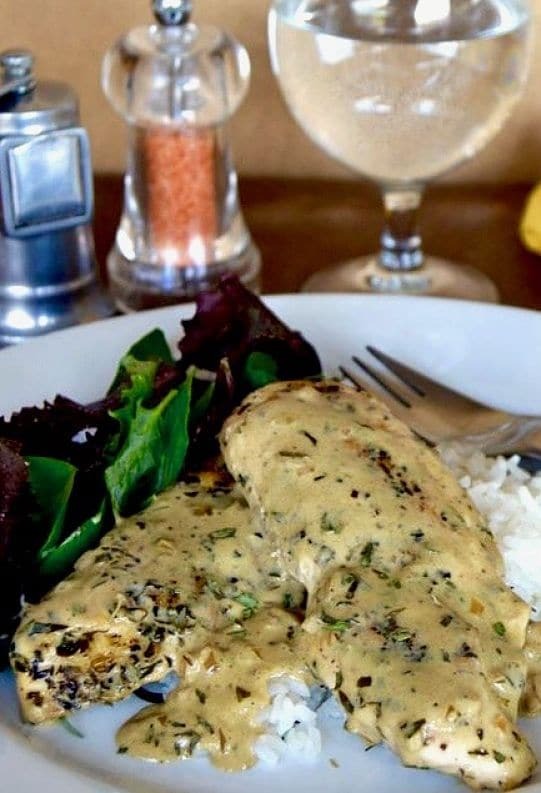 I’m totally in love with this cream sauce! Can’t wait to try this dish! I love this sauce, it sounds amazing! We eat chicken often and I’m always looking for new ways to prepare it. This sauce sounds wonderful, I’m sure my family would love it. What a fresh recipe loaded with flavor. I love pernod and have not had in years! I remember being in Monte Carlo and enjoying cocktails made out of it. Cannot wait to try in a savory recipe. 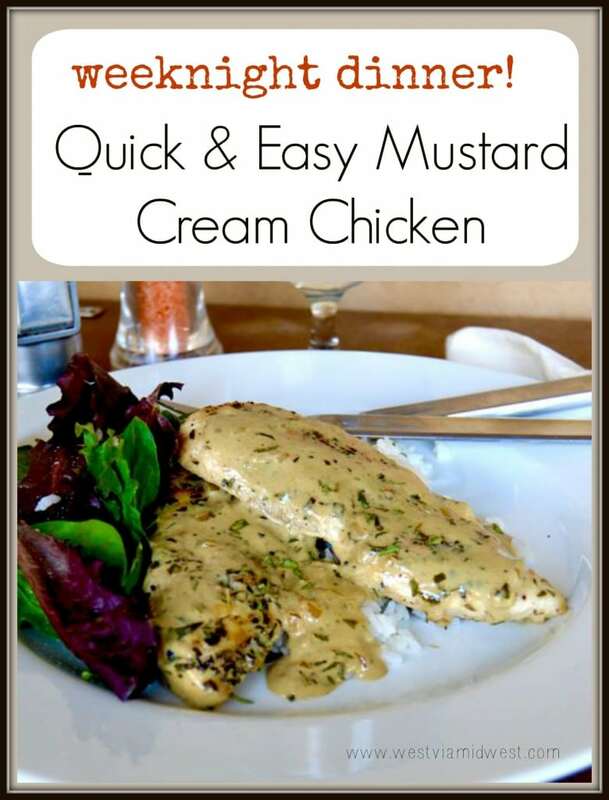 I love a dijon sauce on chicken and this sounds delicious. Perfect for a cozy dinner. That sauce looks all kinds of yummy! Seriously gorgeous stuff. OOoh this sounds rather heavenly! I’m definitely going to be trying this out once I stop calorie counting!